It's IntLawGrrls' great pleasure to welcome Jennifer Trahan (right) as today's guest blogger. Jennifer's an Assistant Clinical Professor of Global Affairs at New York University's School of Continuing & Professional Studies. Courses she's taught include: International Law, Human Rights, International Criminal Tribunals & Their Law, Transitional Justice, and U.S. Use of Force & the “Global War on Terror.” She's also taught as an adjunct at Columbia University, Fordham Law School, Brooklyn Law School, and The New School, and has lectured at Salzburg Law School’s Institute on International Criminal Law. 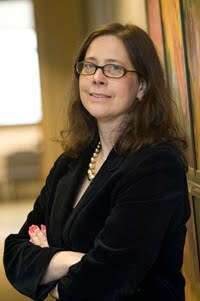 Additionally, Jennifer's served as: counsel and of counsel to the International Justice Program of Human Rights Watch; Iraq Prosecutions Consultant to the International Center of Transitional Justice; and a consultant on cases before the Special Court for Sierra Leone and the International Criminal Tribunal for Rwanda. Among Jennifer's many writings -- a number of which have appeared in languages such as Spanish, Bosnian-Croatian-Serbian, and French, as well as in English -- are two published by Human Rights Watch, Genocide, War Crimes and Crimes Against Humanity: A Digest of the Case Law of the International Criminal Tribunal for Rwanda (2010) (left) and Genocide, War Crimes and Crimes Against Humanity: A Topical Digest of the Case Law of the International Criminal Tribunal for the former Yugoslavia (2006). Jennifer, who earned her A.B. degree from Amherst College, her J.D. degree from New York University School of Law, and her LL.M. degree from Columbia Law School, practiced as a litigator for 10 years at the New York City law firm Schulte Roth & Zabel LLP. 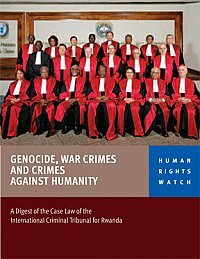 In her guest post below, Jennifer takes issue with IntLawGrrl Beth Van Schaack's May 5, 2011, post regarding what lies ahead for the crime-of-aggression amendments that were adopted by consensus at International Criminal Court Review Conference, and thus are now open for ratification by ICC states parties. Jennifer attended last year's Review Conference, held in Kampala, Uganda, in her capacities as Chair of the ICC Committee of the American Branch of the International Law Association, as a member of the American Bar Association 2010 ICC Task Force, and as an observer for the Association of the Bar of the City of New York. Pre-Kampala, also on behalf of the New York Bar, Jennifer had observed meetings of the ICC Special Working Group on the Crime of Aggression.